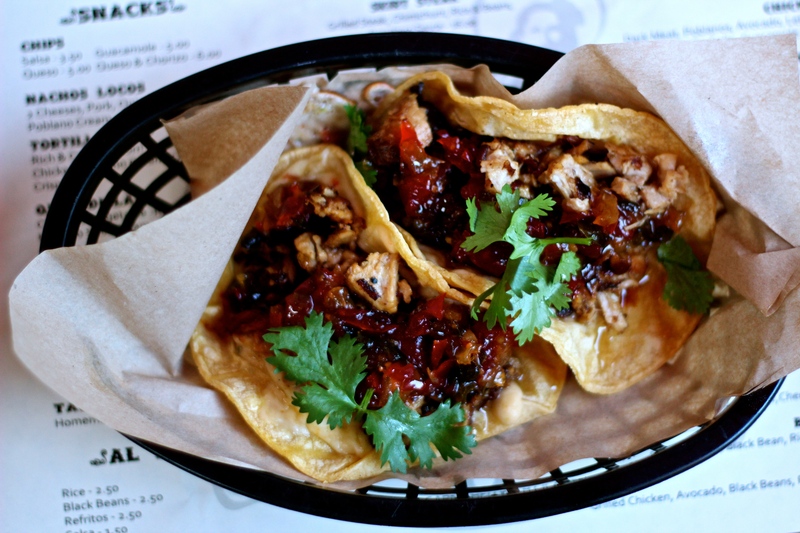 As a fan of Mexican food, I often find myself fighting against Mexican food pretenders. Yet, when a restaurant embraces its non-authenticity I am all for it as long as it’s good. Cantina Loco in Allentown is one of those places that isn’t feigning authenticity, but it has apparently been crazy popular since opening back in 2011 and I hoped that would mean good things for the food. We started with an order of their chips and queso (you know, after a round of drinks). It was a good way to start out the meal, because the queso was a delicious mix of cheese and chili flavor with flaky-thin chips. 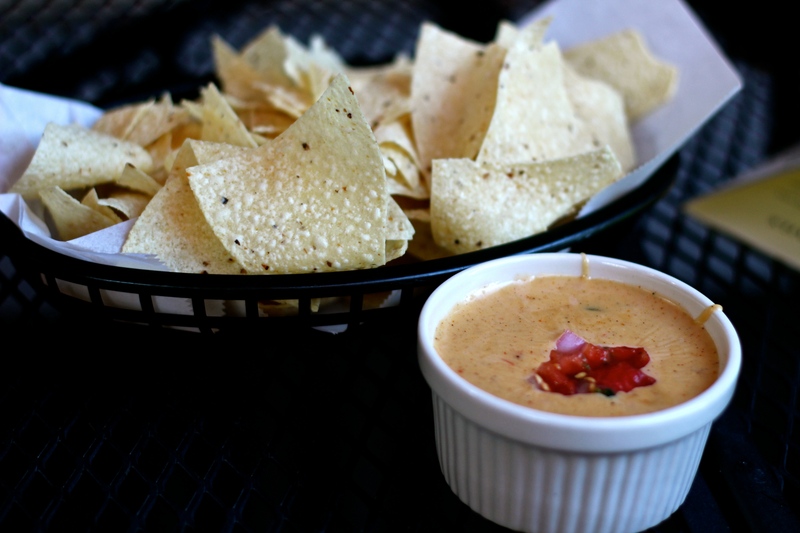 I would have preferred more queso, but the dip was actually so rich that just a little bit on each chip was plenty. So much relish, so little time. As for my main course, I ordered one of their special tacos, specifically the pork belly variety. This came with a pineapple and red pepper relish, cilantro, some melty cheese and of course the belly of the pork. Ordinarily I would have ordered without the relish because of the red pepper, but I was told it was sweet and crossed my fingers that it would taste nothing like the nasty vegetable it originated from. Oh yeah, I also ordered a side of refritos (refried beans), because I was in the mood to be gassy. Fortunately, my wishes came true for the taco relish. It was undoubtedly sweet and actually pretty tasty. Overall, the tacos were pretty good-sized and had a fair amount of meat. In a nice twist, the pork belly was actually kind of pulled apart instead of coming in big fatty chunks, which made them unique. Yet, while the relish was good, there was simply too much of it. I had to scrape a good deal of it away to get through to the other flavors of the taco, which was a shame but at least manageable. The refritos were a nice little side that taste good on their own, tossed on the taco and even dipped in with the remaining chips. 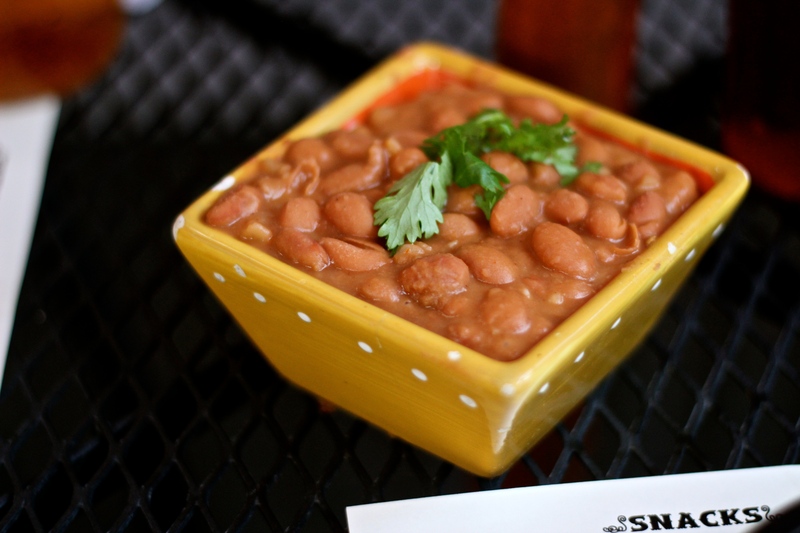 They were different from your ordinary Mexican restaurant refried beans because individual beans were actually visible, but then Cantina Loco isn’t an ordinary Mexican restaurant. Even so, it is a good spot with a some unique eats and with just a little more balance it could be even better.